A block after 16 joins 380, it will split to continue north. 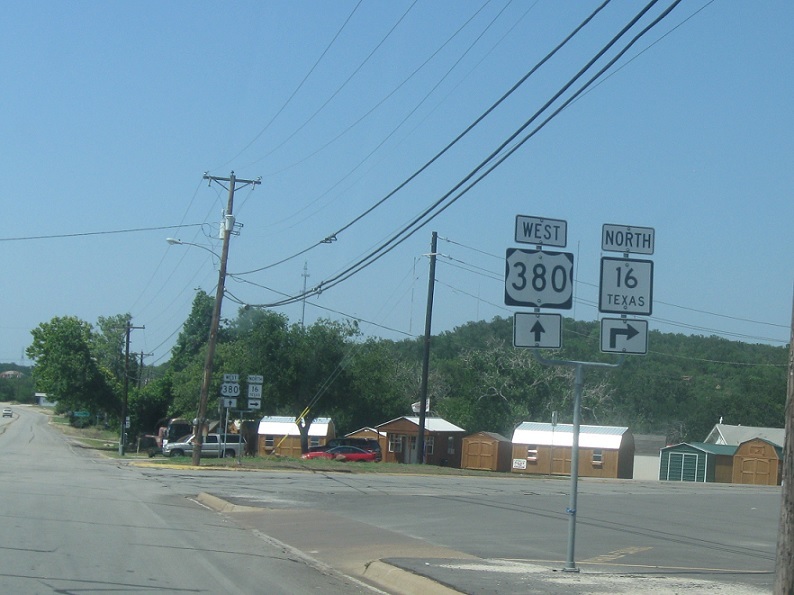 Turn right for Texas 16 north. 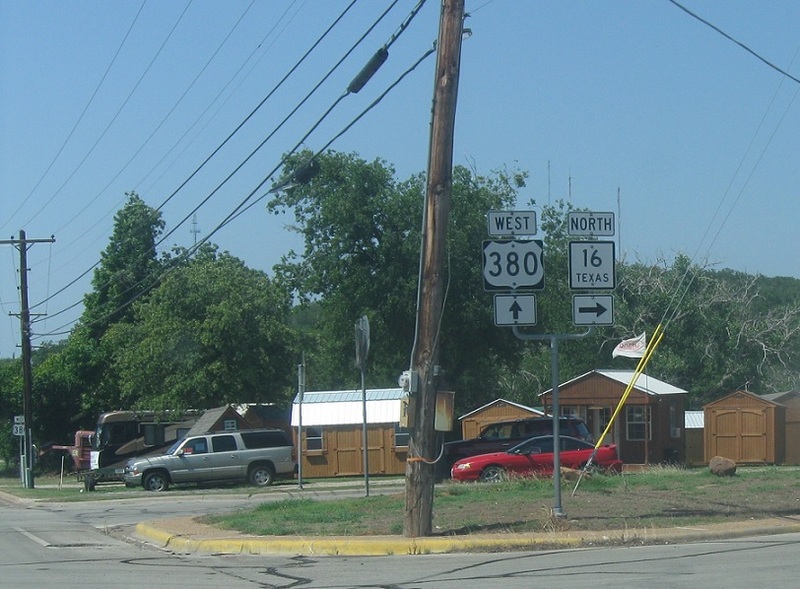 Stay straight for US 380 west.